Residential Burn Window closes May 30th, this window is set by the state after this date we can only issue Agriculture burn permits, Residential burn windows are set by the state and neither the County Fire Marshal nor the Commission have control over them below is great information on what is required to burn. In order to burn there are several things that have to be in place they are. The Clearing index must be above 500 feet, this means that the smoke will rise to 500 feet above the ground and then spread out. Permits are only issued Monday through Friday from 8 a.m. to 4 p.m. These burns must be attended at all times, have a hose nearby and be out by dark. Residential burn permits may be issued between March 30 and May 30 and between September 15 and October 30. Materials to be burned are thoroughly dry and no trash, rubbish, tires, or oil are included in the material to be burned, used to start fires, or used to keep fires burning. By state law burn barrels are not allowed for the burning of trash. Agriculture burning is permitted year round with a clearing index above 500 and a burning permit has been issued from the fire Marshalls office. In order to qualify as an agriculture burn the property must be zoned Agriculture, be in the Green Belt for taxes and actively producing a product for profit or in support of ie: dairy feed, Ranch pasture. mm) or less in diameter and 2 feet (610 mm) or less in height. 307.3.1 Bonfires. A bonfire shall not be conducted within 50 feet (15 240 mm) of a structure or combustible material unless the fire is contained in a barbecue pit. Conditions which could cause a fire to spread within 50 feet (15 240mm) of a structure shall be eliminated prior to ignition. 307.4.2 Recreational fires. Recreational fires shall not be conducted within 25 feet (7620 mm) of a structure or combustible material. Conditions which could cause a fire to spread within 25 feet (7620 mm) of a structure shall be eliminated prior to ignition. 307.4.3 Portable outdoor fireplaces. Portable outdoor fireplaces shall be used in accordance with the manufacturer’s instructions and shall not be operated within 15 feet (3048 mm) of a structure or combustible material. 1) No burning shall be started before 8:00 a.m. or after 6:00 p.m.
a. on occasion where special circumstances and weather patterns arefavorable for an earlier start time and on-site weather monitoring is inplace, a burn may be given advanced permission to burn before 8:00 a.m.
2) No burning shall occur on any Sunday. 3) All burning shall be completely extinguished one (1) hour before sunset. a. During the spring, orchard growers may get a long term permit for the purpose of burning tree prunings, this will allow a grower tocontinually burn pruinings until Saturday night at midnight or a day witha clearing index below 500 is reached. The grower is responsible tocheck the clearing index every day and voluntarily cease burning if theindex falls below 500. 4) The burn permit number must be present at the site of the burning during all times that supervision of the fire is required by this ordinance. (a) Except in nonattainment and maintenance areas, open burning of tree cuttings and slash in forest areas where the cuttings accrue from pulping, lumbering, and similar operations, but excluding waste from sawmill operations such as sawdust and scrap lumber. (b) Open burning of trees and brush within railroad rights-of-way provided that dirt is removed from stumps before burning, and that tires, oil more dense than #2 fuel oil, tar, or other materials which can cause severe air pollution are not present in the materials to be burned, and are not used to start fires or to keep fires burning. (c) Open burning of a fire hazard that the county or municipal fire authority determines cannot be abated by any other viable option. (d) Open burning of highly explosive materials when a county or municipal fire authority, law enforcement agency or governmental agency having jurisdiction determines that onsite burning or detonation in place is the only reasonably available method for safely disposing of the material. (e) Open burning for the disposal of contraband in the possession of public law enforcement personnel provided they demonstrate to the county or municipal fire authority that open burning is the only reasonably available method for safely disposing of the material. (f) Open burning of clippings, bushes, plants and prunings from trees incident to property clean- up activities, including residential cleanup. Every year there are two open burning windows for residents to burn yard debris ie: leaves, branches weeds and such, this does not include garbage, tires, construction materials, cardboard and other trash. There are several factors that regulate open burning in our County some apply only to residential burning and some apply to both agricultural and residential burning, they are listed below. The Clearing Index is an Air Quality/Smoke Dispersal Index used to regulate open burning and as input for other air quality decisions throughout Utah. The Clearing Index is defined as the Mixing Depth (depth of the mixed layer in 100s of feet above ground level) multiplied by the Transport Wind (average wind in the mixed layer in knots). Clearing Index values below 500 are considered poor ventilation and open burning is restricted under these conditions. Any Clearing Index values above 1000 are considered excellent ventilation and are referred to as 1000+. Data for the Clearing Index on these web pages are derived from the Eta and AVN operational atmospheric computer models. The data will be reviewed and may be edited by NWS meteorologists before dissemination. Note: Clearing Index is 1000+ if measurable precipitation or cold front passage occurs. Click on the following shortcut to see a three day forecast of the clearing index. Utah Air Shed We are Air Shed 4 East of Snowville and Air Shed 1 West of Snowville (approx) I hope this helps in planning future burns. 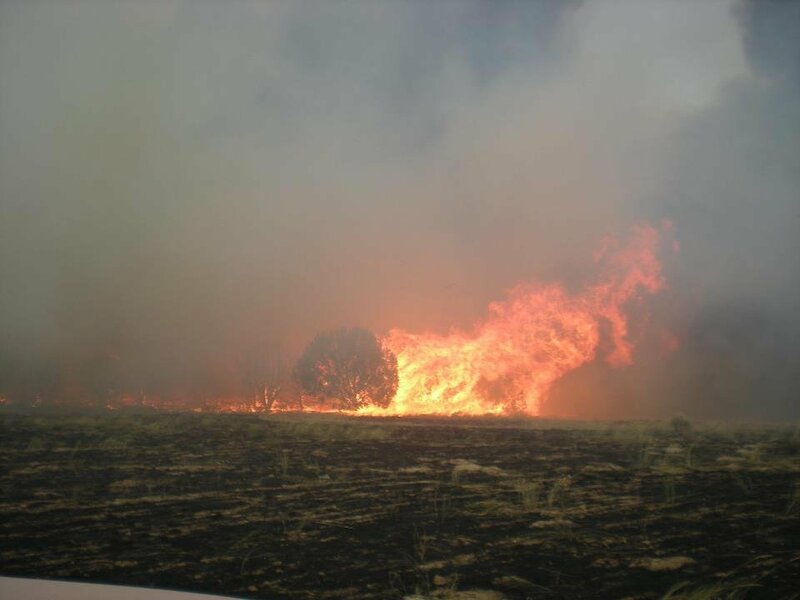 are No Burn Days in all of Box Elder County and all open burns must have permit.